This is my first post from the land of Rajnikanth. Some unexpected turn of events catapulted my life from Kochi to Chennai. And now, I am happily settling in this strange and mysterious city. When my friends and relatives heard that I am leaving for Chennai, they were all sympathetic. "Chennai huh? The climate is gonna be horrible", "Poor you..The food there is not at all good and be careful about the water. ", "Its a very dirty city" etc etc.. I got so many sympathetic glances and soothing words that I mentally prepared myself to face the demons of this scary sounding city. As soon as we stepped out of Chennai Central, we were surrounded by a crowd of riksha and taxi walahs, everyone pitting for our attention and asking us where we wanted to go. After lots of bargaining and bickering, we settled for an auto. The man who won the battle turned out to be just a broker and not the real auto driver. From there began my adventurous journey through Chennai. I remember a fellow blogger writing about how each city sings a different tune, how each city is like a living person with his own characteristics and dark shades. Chennai, I realised has a character of its own. Like everyone even Chennai has different shades. Each of which I'm discovering as days go by. The autowalah's of Chennai, who are a species of their own.The cows and dogs who inhibit the city and roam freely around coexisting merrily with the human folk. The posh textile shop and the dusty antiquated spare parts shop which exist side by side. The never ending power cuts and doctors who make you do all sort of tests for a simple cold. 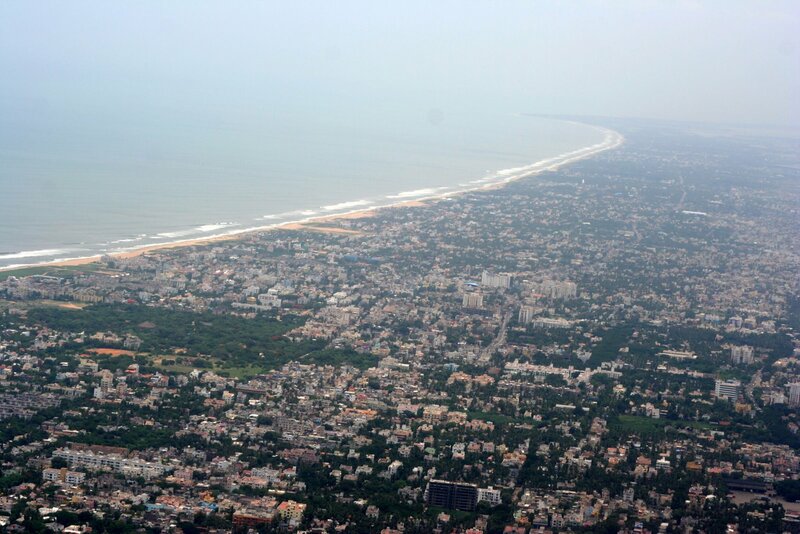 Chennai is an experience that you shouldn't miss. And I have just started exploring this city and its people.